IndiGo reported its second quarter (ending September 30) results for the fiscal year ending March 31 2017 (FY2017). With earnings of Rs 139.8 crores, the results yet again failed to meet analysts’ expectations. As reported earlier, intense competition in the market, consistent fare sales and aggressive capacity addition have added to the revenue pressures. For the quarter ending September 30, 2017, IndiGo increased its capacity (measured in terms of Available Seat Kilometres) by five per cent. During the quarter, IndiGo carried a total of 10.45 million passengers, a six per cent quarter on quarter growth primarily led by domestic market. 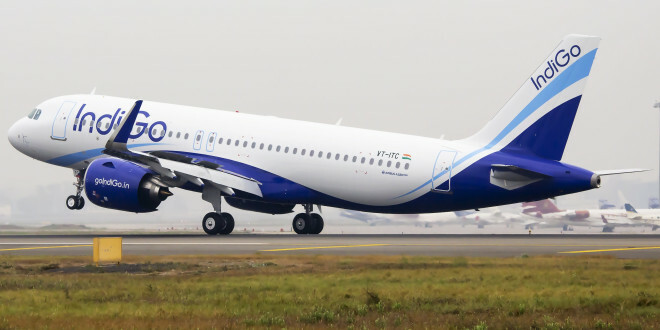 Furthermore, IndiGo recorded its highest second quarter passenger load factor at 82.2% despite an aggressive fleet induction during the period. The period end fleet size of IndiGo increased from 109 in the 1st quarter to 118 in the second quarter. 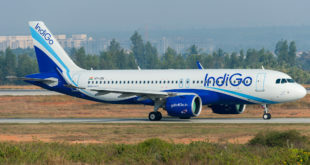 IndiGo is expected to further increase year on year capacity by 30% each in the third and fourth quarter. The airline revised its capacity increment targets from 34% to 28% due to expected delays in the A320NEO delivery. However, it reconfirmed its fleet development targets and reaffirmed that it will end the year with 136 aircraft (including 20 NEOs). In case of a delay in NEO deliveries, this number is most likely to be impacted. Delays though would not be all negative as the planned capacity increase can have adverse effect on the earning as it could lead to lower margins possibly due to the continued revenue pressures, non-sustained load factor, and higher cost base. The airline’s on-time performance (OTP) fell down to 82.6% due to issue with the NEO’s Pratt and Whitney PurePower Geared Turbo-Fan engines. Y-o-Y operating revenue per passenger declined by 14% to Rs. 3,969, however, passenger volumes increased by 37% thereby resulting in an 18% y-o-y operating revenue increase. The airline has recorded declining operating revenue per passenger for the last three years as a result on market forces. Amidst increased fare pressures and aggressive capacity induction, Revenue per ASKM (RASK) declined by seven per cent. Both Cost per available seat kilometer (CASK) and CASK excluding fuel reduced by five per cent and seven percent respectively; however, reduction in RASK led to a 35% decline in operating margin per ASKM. Ancillary revenues were also lower than the passenger growth. This was driven by government imposed limits on excess baggage charges. Excess baggage, is traditionally, a large ancillary revenue generator. Government mandated, lower cancellation and change fees further diluted ancillary revenues. On the distribution front, IndiGo is also reported to have entered into its first GDS agreement with Travelport. The move is likely to help the airline with international presence, however, it can drive up the selling and distribution cost. The company though is reported to have negotiated the agreement in a manner where it does not involve the traditional costs. 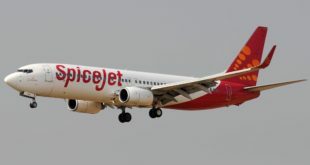 The airline achieved a two per cent decline in fuel cost per block hour even though the ATF price is almost back to the level it was in the same period last year. It can only be partly attributed to the 14% cost savings achieved from A320NEOs. Overall, the profit margins declined with Earnings before Interest Tax Depreciation and Amortization (EBITDA) margin declining by 1.9 points to 4.3% and Earnings before Interest and Tax (EBIT) margin declining by 0.3 points. The net margin however, gained 0.2 points year on year due to reduced tax rate from 30% to 21%. Overall, Indigo has continued to focus on domestic market and is expected to introduce short haul international destinations from choice gateway points in India. Currently, only none per cent of the total capacity has been deployed on international routes but this will see upward trend in upcoming quarters, especially due to the new ruling that the airlines will lose their bilateral rights if flights are not deployed on the allotted routes. Also, the international segment is facing lesser yield pressure when compared to the domestic segment along with better average fuel rate. Given, the sustained yield pressures with no sign of relief in coming quarters, the airline will need to focus on additional improvement in load factors. Indigo’s strong cash position will no doubt help it weather the yield pressures however the shift in the booking curve – that is more passengers booking late tickets – is also a cause for concern is it does not allow effective revenue control. In the near future, the domestic market will continue to face yield pressures, especially the metro routes. All in all, IndiGo continues to be a profitable carrier however, the profit streak cannot continue at previous levels.